Saint Dominic Elementary School was one of the first Catholic Elementary Schools established on Long Island. In 1914, Monsignor Charles Canivan arrived at St. Dominic Parish and began his thirty year tenure as pastor. Under his direction, St. Dominic Elementary School opened in 1924 under the auspices of the Sisters of the Immaculate Heart of Mary, Scranton, PA. 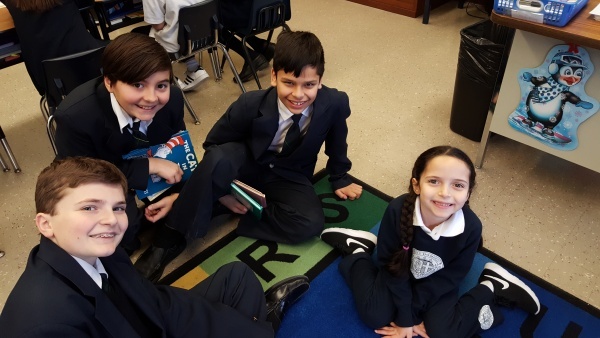 Ours is a faith-centered program that aspires to connect reading, writing, thinking, and listening skills across the subject areas with the use of 21st century technology and the integration of Catholic values into every subject taught. 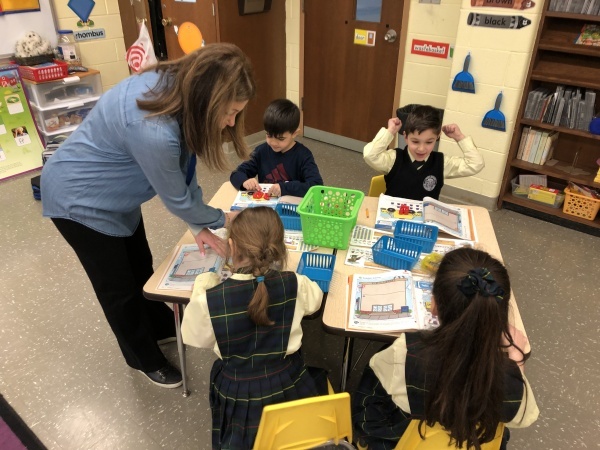 Today, the elementary school provides a program of academic and social growth for students from 3 years to 10 years of age (Pre-K through 5th grade). Our Early Childhood Development program in Pre-K 3, Pre-K 4, and Kindergarten is a blend of Montessori learning and Academic preparation. Lessons and projects encompass color mixing, the elements of design and composition, drawing, and three-dimensional work. All children use watercolors, watercolor pencils, and tempera paint. To enhance the tactile senses, students work with clay, wood and wire. All students participate weekly in our computer-based programs. Different grade level concepts are strengthened throughout the year using software programs for productivity and creativity, including an exploration of computer programming. Throughout all grade levels, the computer education program is integrated with the general education program, culminating in computer-based and cross-curriculum projects. In our newly renovated Library/Media Center, our students are encouraged to utilize its resources of over 21,000 books and over 25 remote accessible databases. The two oversized SMART Boards in the library Media Center afford the students the opportunity to view educational apps. The entire building is connected to the internet. Students learn to visually identify musical rhythmic values as well as instruments and their respective families. Age appropriate musical activities are planned. Students in grade 2 learn to play the Recorder. Students in the middle grades learn how to read music. 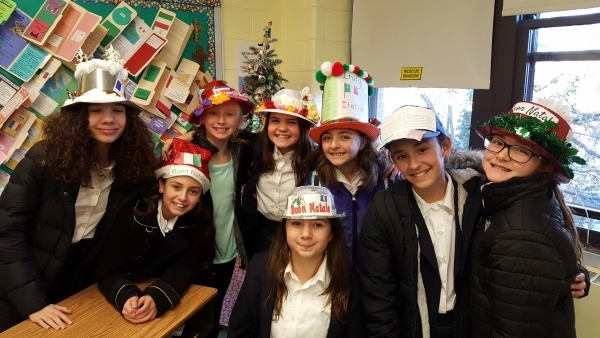 Our school glee club performs at school liturgies, as well as at the Christmas and Spring Concerts. In addition to music class the students in grade K-4 attend liturgical music. Our language curriculum begins in Pre-K. Students in Pre-K to grade 5 have Spanish class once a week as an introduction to the language. In grades 6, 7, and 8, basic grammatical structures, vocabulary, verbs and cultural aspects are emphasized. Through oral and written presentations, the students gain a greater practical knowledge of Spanish as an important world language. At the conclusion of 8th grade students have been prepared to take the FLACS Checkpoint Exam for advanced placement opportunities in high school. Our physical education program is in conjunction with the President’s Council on Physical Fitness and Sports. Middle School students have the opportunity to participate in a range of competitive sports programs, including soccer, basketball, hockey, tennis and baseball. Physical education activities and home basketball games take place in the Sports Center located across from the Saint Dominic Chapel on our main campus. Located just 2.4 miles from our main campus, the Saint Dominic Charles B. Wang Campus Athletic Fields consist of three baseball fields, four tennis courts, and various soccer and lacrosse fields. Elementary and Middle School students use the Athletic Fields for Field Day and our CYO program. 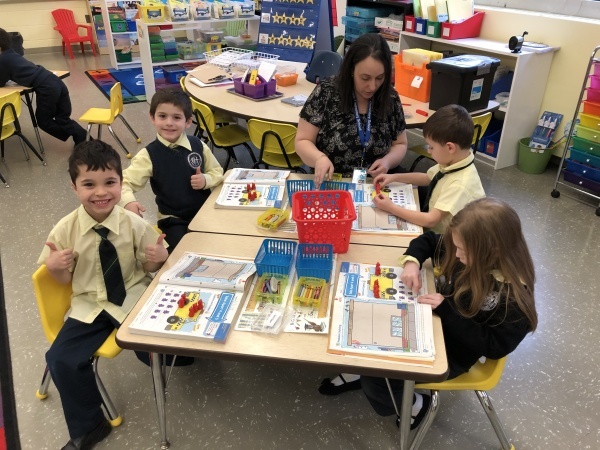 St. Dominic Elementary School, established in 1924 as one of the first Catholic schools on Long Island, provides an academic program for students grades pre-K through eighth. Our curriculum focuses on development of reading and writing skills, critical and computational thinking, and problem-solving skills. As a faith-centered program, we connect Catholic values to students' lives. An integrated STEM program, and student-based technology help make learning relevant, accessible, and current. Curriculum based on Next Generation Learning Standards, and guidelines of the NY State Education Department and Diocesan Office of Education.